Custom Kitchens and Bathroom has many years of experience - building and installing new kitchens into homes and apartments throughout Wellington. From the design of your new kitchen through to its unveiling – we are able to project manage every step of the process. We can also step in and simply provide specialist custom joinery work as part of your team of tradesmen. Custom Kitchens and Bathroom design and install new kitchens to suit your personal tastes and requirements. We also build kitchens to suit every scenario - from stunning high end and high spec designer kitchens, to affordable yet built to last kitchens for rental accommodation. 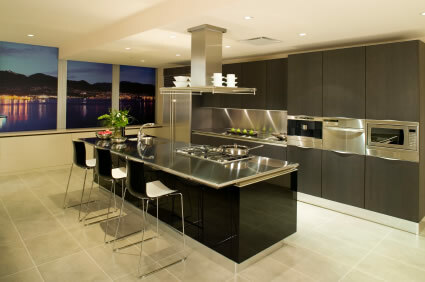 We install kitchens set in award winning homes - to kitchens in holiday homes and baches. No project is too big or small - with the single common trait - our promise of quality workmanship.